As the number of cellular phones has skyrocketed in recent years, the need to repair these units has increased as well. Samsung Telecommunications America, LLP of Dallas, Texas has provided more CDMA handsets than any other manufacturer in the U.S. That’s why their 50,000 square-foot Customer Care Center for repairing and refurbishing those phones has to operate at peak efficiency. Samsung needed a conveyor system there to move product smoothly and consistently from one workstation to the next. They had a long list of requirements: low profiles, narrow transfers, ergonomic flexibility, minimal maintenance, and value. And because these are sensitive electronic devices, belts with electrostatic discharge (ESD) protection were a must. Dorner’s 3100 Series low-profile conveyors offer customers the flexibility and options to match their specific needs. 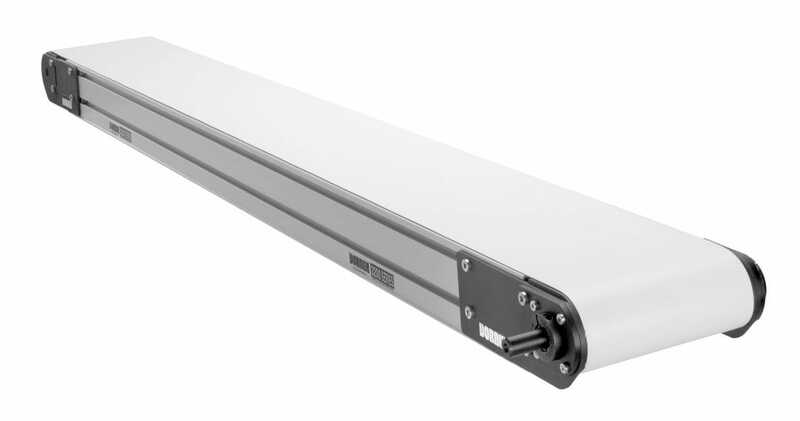 Available in lengths up to 99’ and widths up to 40”, the 3100 Series are also available with a variety of belt materials, including electrically conductive belts for electronics applications. These conveyors are very low-maintenance, with sealed bearings and belts that can be changed in five minutes or less. In 2002, Dorner re-engineered the 3100 Series. The improved 3200 Series is wider, faster, longer and stronger. Samsung’s Customer Care Center is now using more than 200 feet of Dorner 3100 Series conveyors with the potential for more. Dorner conveyors and belts met all of Samsung’s requirements for technical specifications, ESD protection, value, and aesthetics. Samsung wanted a conveyor less than 12 inches in width for its small products. The company is especially pleased with the tight transfer tails, eliminating the possibility of product getting hung-up in the gap when moving from one conveyor to another. Officials also said Dorner 3100’s simple vertical adjustment capability as being key to its development of an efficient, ergonomic manufacturing facility. Dorner has helped Samsung achieve productivity levels that allow them to save time, maintain costs and sustain growth in the fiercely competitive telecommunications industry.